If you love gourmet meals and fine dining, but would still like to eat at home yet don’t want to spend hours looking for new recipes, doing extensive grocery shops and then cooking, you will find some great options with many meal kit or meal delivery services. They are a fantastic option when it comes to enjoying gourmet cuisine at home without wasting hours of time doing complicated preparations. If you are craving an upscale dining experience at home, not all the meal kits and prepared meal delivery services are ideal. Since 2012, there has been an endless number of new companies onto the scene. Each one has its own unique agenda and recipes. They specialize in everything from speciality diets like vegan and Paleo, from organic ingredients to pre-prepped meals. This is where we come in – we can help you sort through all the companies that currently provide meal kit or prepared meal services and highlight which ones are best suited to your upscale dining needs! Our team at the meal kit review spend months and months testing and re-testing the services offered by all the companies in the market, and we do our best to sample the most popular options. Following are our top ranked meal delivery services that provide a gourmet experience and will make you feel like a top chef, cooking the finest of cuisine right in your own home! Hello Fresh is prioritized on making your weeknights both delicious and easy! 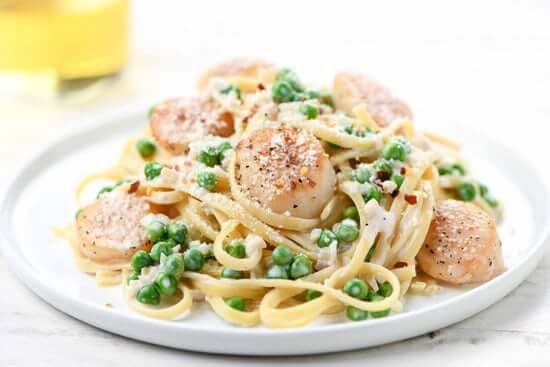 You might think that Hello Fresh is more of a “mass market” kind of company, but they recently updated their menu and now offer an amazing menu that includes 16 different meals that includes some top-end gourmet options like Balsamic Rosemary Strip Steak, Truffled Lobster Ravioli or Rib-Eye Steaks Over Risotto. It is also important to note that the Hello Fresh meal kits include the best farm fresh ingredients that you will love to eat. That is the first step in creating a fine-dining experience, using only the best ingredients available. 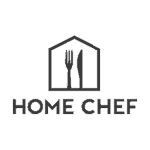 #2 Home Chef- Gourmet Meal Delivery at its Best! Home Chef is all about providing great classic dishes, that always come with a nice added twist to enhance the overall flavor experience. Home Chef offers a lovely selection of fine-dining experience dishes among their weekly selection. Some of these include: Scallop Scampi with a Creamy Sauce, Blue Cheese and Smoked Almond Pork Chop or Steak de Burgo with Mashed Red Potatoes and Roasted Carrots. This is just a small sample of the dishes they have available. Home Chef uses only the highest quality farm fresh ingredients and their meals come with a recipe card and are usually quite easy and satisfying to cook. Plated really do offer a perfect cooking experience. The company delivers everything you need in order to cook amazing gourmet dinners in the comfort of your own kitchen! The Plated weekly menu contains 20 amazing chef-created recipes along with the tempting option of two weekly changing desserts. 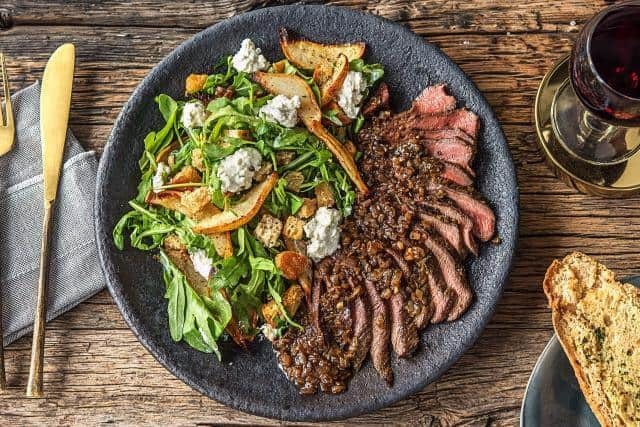 The Plated meals contain farm fresh seasonal products, and the company makes sure to use only 100% antibiotic-free meats and beef with no added hormones and sustainably sourced seafood whenever possible. 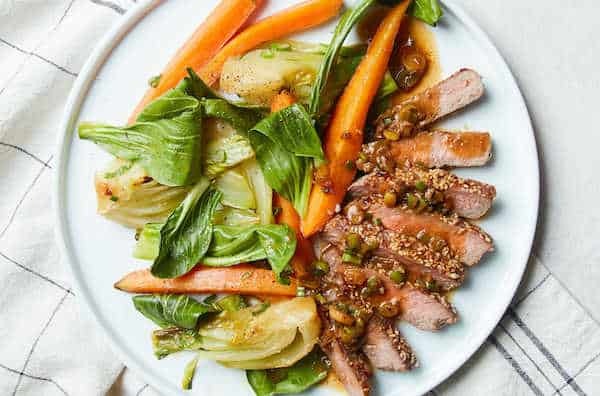 Some examples of gourmet meals offered by Plated are sesame-crusted steak with miso-maple bok choy and carrots, or pan-roasted pork chop with pear–brown butter sauce, sautéed Kale and blue cheese. Another great gourmet style meal is prosciutto-wrapped asparagus with mascarpone grits and a soft-boiled egg. Yummy!